The Circus is Back! And Better Than Ever. BigTop Works has announced the return of the beloved Big Apple Circus to Boston. 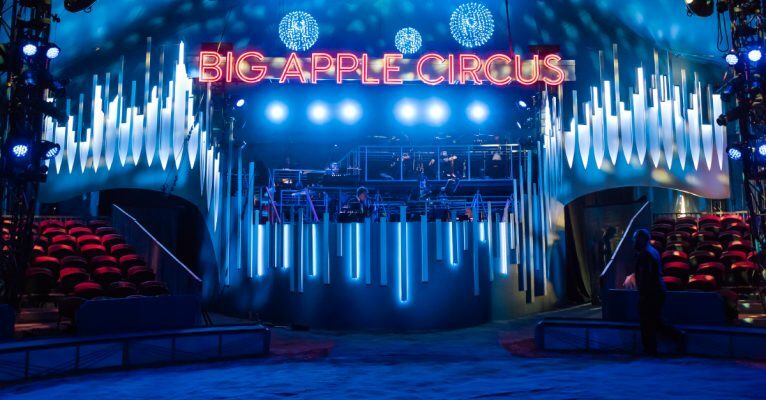 BigTop Works, the new producers of BIG APPLE CIRCUS, has announced the return of the beloved Big Apple Circus to Boston for its acclaimed 40th anniversary season – though not the way we’re used to! The circus moves from its traditional home at City Hall Plaza, to Greater Boston’s hottest new neighborhood destination – Assembly Row. With more than a dozen eateries, multiple entertainment options, easy access by public transit, and an array of parking options, this year’s Big Apple Circus engagement promises to be a full-day outing for the family – oh, and did we mention it coincides with April vacation? Following the sale and re-establishment of Big Apple Circus in 2017/2018, this year’s tour brings new life to the circus arts. Modeled after the traditional European “One Ring” circus, where no one is more than 50 feet away from the ring, Big Apple Circus has delighted and astounded audiences in New York and Atlanta before landing in Boston for a one month run from April 7th through May 6th. The full lineup of global artists and acts features the famous seven-person pyramid on the high wire with 10-time world record holder Nik Wallenda, and the daring quadruple somersault on the trapeze by The Flying Tunizianis – the first time in circus history that both legendary feats are performed under the same big top. The record-setting acts are joined by Dandino & Luciana, a dynamic duo who combine speed, acrobatics and daredevil grace on rollerskates; award-winning contortionist Elayne Kramer; master juggler Gamal Garcia; Jan Damm on the Rola Bola; acclaimed Risley acrobats The Anastasini Brothers; Ringmaster Ty McFarlan; and circus trainer & presenter Jenny Vidbel, who performs in the ring with 16 horses and ponies, as well as six rescue dogs. In true Big Apple fashion, several ADA accessible performances are included on the Boston stop. Wednesday, April 11 at 11:00 am will feature specially enhanced experiences for audiences who are deaf, blind, deaf/blind, visually impaired, or have cognitive or developmental challenges, and on Sunday, April 8 at 12:00 pm, Big Apple Circus Embraces Autism, a sensory-friendly performance for autistic audience members, will feature lowered light and sound levels, a descriptive social story, and a professionally staffed Calming Center that can be accessed at any point during the show. With direction by Mark Lonergan (Artistic Director of three-time Drama Desk Award-nominated Parallel Exit), lighting design by Jeff Croiter of Peter & The Star Catcher fame, scenic design by Rob Bissinger (Spider-Man: Turn Off The Dark) and Anita LaScala (Magic Mike Live) of ARDA Studio, Inc., and Drama Desk-nominated costume designer Amy Clark (Heathers: The Musical, Chaplin) on board, this year’s Big Apple Circus promises Broadway-level production and death-defying stunts the likes of which can only be seen in one place. Boston welcomes Big Apple Circus for its triumphant return, and we can’t wait to see what will happen! “The big top is back at Lincoln Center! For over 10 years, Big Apple Circus has maintained a vital no wild or exotic animals policy, and most of the animals in the featured acts are rescues. The horses, ponies, and dogs that appear in the show are all a part of our 3rd generation animal trainer Jenny Vidbel’s family. Headliner Nik Wallenda has broken ten Guinness World Records, including the longest tightrope crossing by BICYCLE! Nik has “walked” over Niagara Falls, the Grand Canyon, Chicago skyline (blindfolded), and atop the 400ft tall Orlando Eye. PLAYING UNDER THE BIG TOP AT ASSEMBLY ROW APRIL 7- MAY 6 TICKETS ARE NOW ON SALE AT TICKETMASTER. DISCOUNTED IF YOU USE A PROMO CODE.